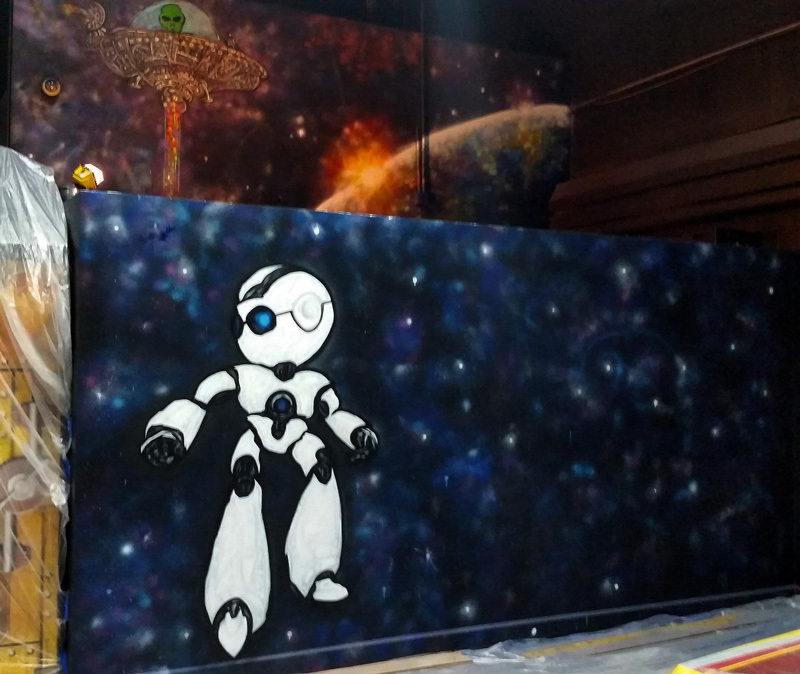 Street Art UFO & Graffiti Robot Mural by Miami Street Artist Trails 1. 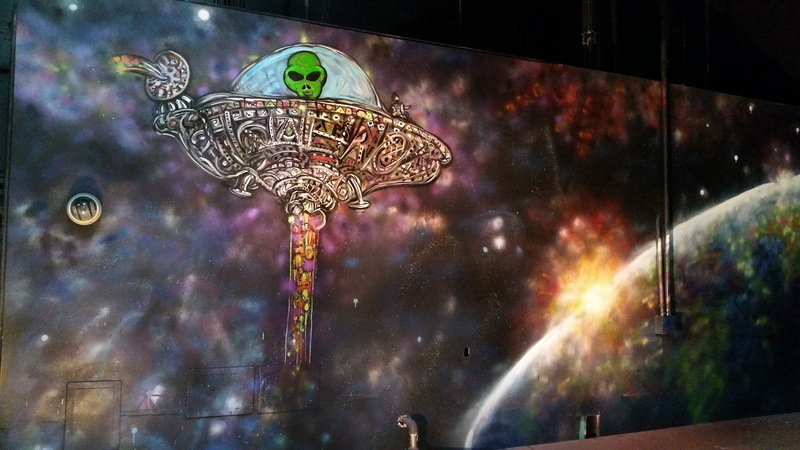 Graffiti mural painted with 99 Percent Spray Paint in Fort Lauderdale Art District. 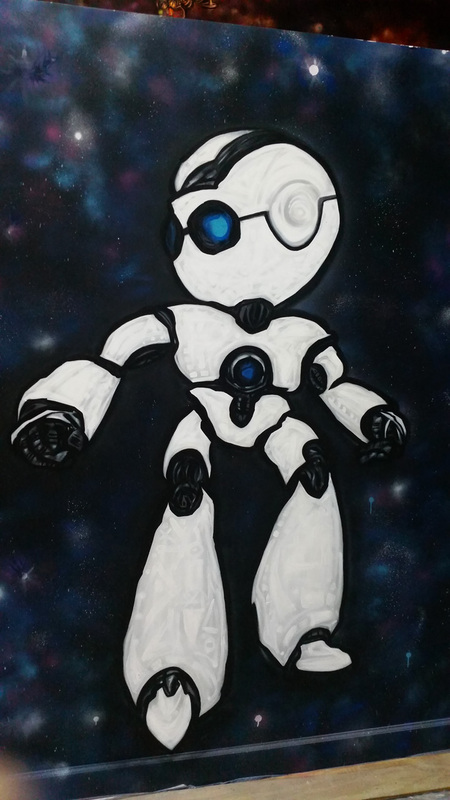 The final details on UFO and outlines of Robot were done with black acrylic paint. 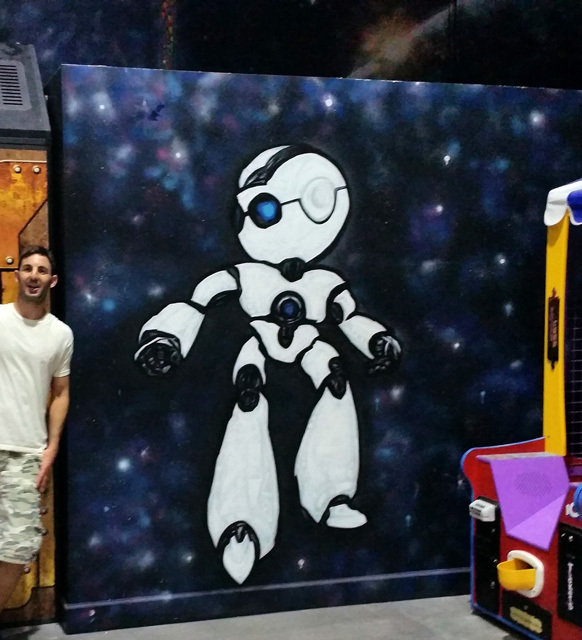 The mural is in the Prime Time Arcade at Xtreme Action Park.